Living... next to Spongebob, unfortunately. His house – which imitates a moai from Easter Island – is situated right in between Spongebob’s pineapple and Patrick’s rock in Bikini Bottom. His relationship with his nautical neighbor has gone nowhere but downhill since Spongebob’s pineapple first crash-landed right on Squidward’s beautiful garden. Profession... cashier at the Krusty Krab, the same fast food restaurant where Spongebob works. He just can’t escape that guy. He doesn’t try hard because he thinks the job is beneath him, which is okay because Spongebob’s tireless work ethic is more than enough for the both of them. Interests… playing his clarinet, theater and the arts, and enjoying the finer things Bikini Bottom has to offer. Nobody else in town seems to think his art or music is anything special. This just makes him feel even stronger that the other sea creatures are dumb and don’t appreciate the arts like he does. Relationship Status... single. Squidward has only gone on one date in his life, with Squilvia, an octopus that looks just like him. The idea of a date makes him a nervous wreck, so he turns to the one person he hates for help…Spongebob. 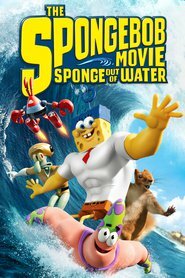 Unsurprisingly, Spongebob gives terrible advice and Squidward blows up at him. Squilvia sees it all happen and says, “A guy who can’t take fools lightly is totally dreamy!” A rare happy ending for Squidward. Challenge... putting up with Spongebob’s antics every day. 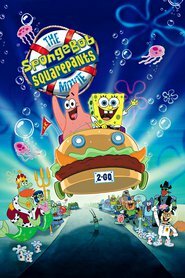 The bubbly sponge is the exact opposite of what Squidward would view as “refined company.” Yet Squidward finds himself in Spongebob’s company almost every day, making his life extremely unbearable. Spongebob’s giddiness makes Squidward more crotchety, which in turn makes Spongebob more likely to try and cheer him up. It’s a vicious cycle. Personality... rude, pretentious, and pessimistic. Squidward is the grumpiest creature in Bikini Bottom. Everything gets on his nerves – that people don’t appreciate the same music he does, that his friends aren’t intelligent enough to keep up with him, that Spongebob won’t leave him alone. He just wants to be a famous clarinet player, but he’ll never be successful with such a negative attitude. 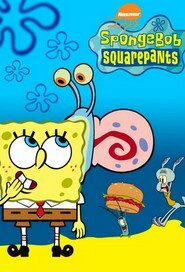 Squidward Tentacles's popularity ranking on CharacTour is #1067 out of 5,000+ characters. See our top-ranked characters and read their profiles.